When Jerry Hebron was a kid, she could get pretty much anything she needed on Oakland Avenue—there were banks, grocery stores, beauty salons, and barbershops. It was, in many ways, vibrantly inviting. Upon returning to Detroit in 2008, she found a devastated neighborhood. "It was depressing," Hebron says. "I was disappointed by what I saw in terms of the blight, the crime. There was a feeling of hopelessness." While it would be too simplistic to call it a resurgence, things are getting better in the Oakland Avenue Corridor (aka the North End), whose boundaries are generally considered to extend east of Woodward from Grand Boulevard to Highland Park. It's a neighborhood that's seen terrible times, as residents and community members attest, but thanks to the efforts of developers, artists, and others with a vision, the narrative is shifting. David Alade and his business partner Andrew Colom of Century Partners believe in the power of building wealth through property ownership. Unfortunately, the people who need it most— low-income minorities—haven't had nearly the same access to this capital. 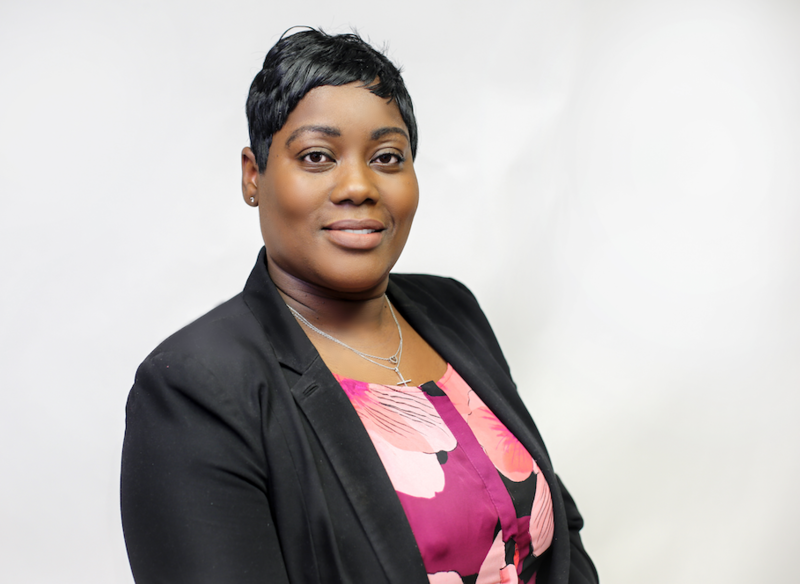 Alade, a native of New York who's lived in Detroit for about a year and a half, first started looking at the Boston Edison neighborhood to buy property, but soon realized the North End would be a much better neighborhood to realize this ambition. 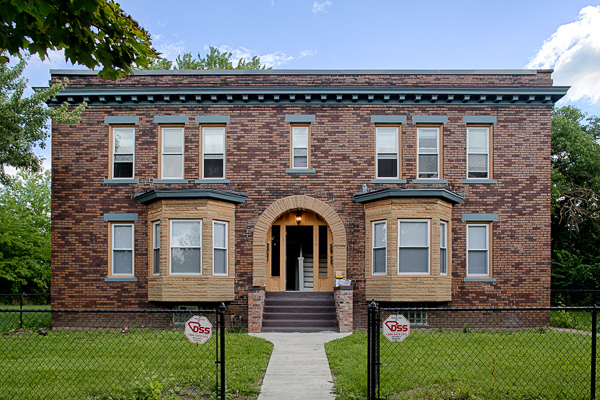 Long-time Detroiters of modest incomes can opt in to Century Partners' fund by contributing an investment home in exchange for a combination of cash upfront and shares in the fund. In so doing, they fiscally benefit from the long-term asset appreciation that the company is helping deliver to the neighborhood. The idea is that residents are a kind of shareholder in their own neighborhood—not only are they creating long-term wealth, but they have an even greater incentive to see the neighborhood thrive. "Our friends and family and Detroit residents own shares in our fund," Alade says. "The fund owns the houses and associated rental cash flow." To date, Century Partners has raised over $1 million and manages over 30 properties in the North End. While residential properties are Century Partner's primary focus at the moment, their work doesn't end there. They envision a fully walkable community for the North End. "We think it's an opportunity … to create holistic living," Alade says. 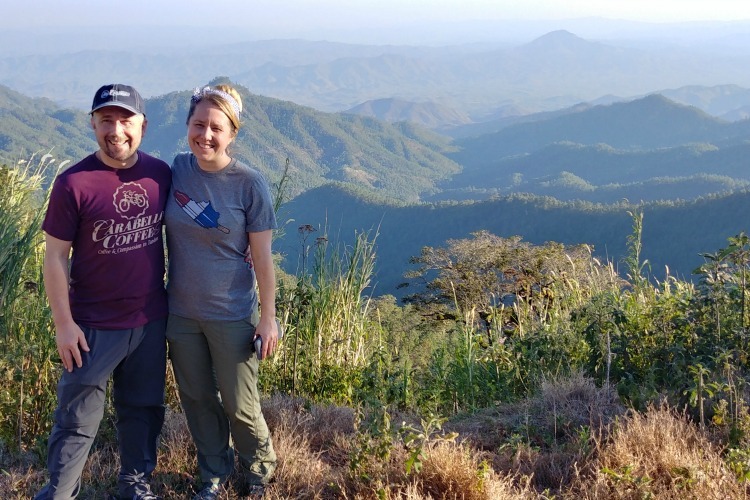 "You can live in a nice apartment, walk across the street to your local restaurant, go to the yoga studio, have a cup of coffee, all within walking distance." They're doing this work in part through a fruitful collaboration. Steven Harris, architect, developer, and owner of Rebound Construction, has deep ties in the North End. His work here is personal. "We couldn't do this without Steven and his relationship with people in the neighborhood. Without his knowledge of the history of the area," Alade says. Harris holds the same belief as Century Partner's in a community of stakeholders. "We try to build some type of equity and stake in the neighborhood," Harris says. "We might have them helping us build community gardens. Paint murals on the wall. We may put some money together to cut lawns, or do the actual security. If someone has some lightweight construction skills, we'll actually have them do some of the construction." "It takes a diverse group to make this happen," he adds. Harris and Century Partners have some exciting developments in the works, like the rehabilitation of a commercial property on John R. One future tenant, set to open this fall, is the Kenilworth Club, a restaurant featuring New Orleans-themed cuisine with West African influences. "Residents deserve a place where they can have delicious food within walking distance," says Alade. Many of the Kenilworth Club's ingredients will be grown from urban farms that operate out of the North End. The Michigan Urban Farming Initiative, a volunteer-based farm started in 2011, began as a way to feed people who couldn't afford healthy food. 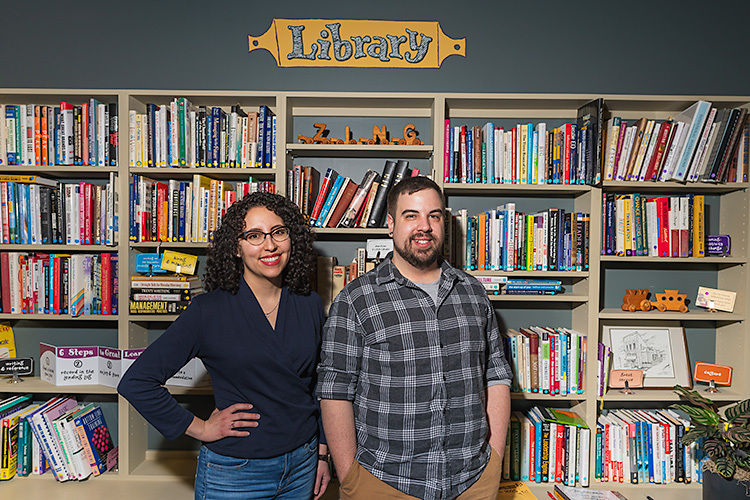 Its founder, Tyson Gersh, was recently featured by Crain's Detroit Business as one of the 20 in their twenties to watch. 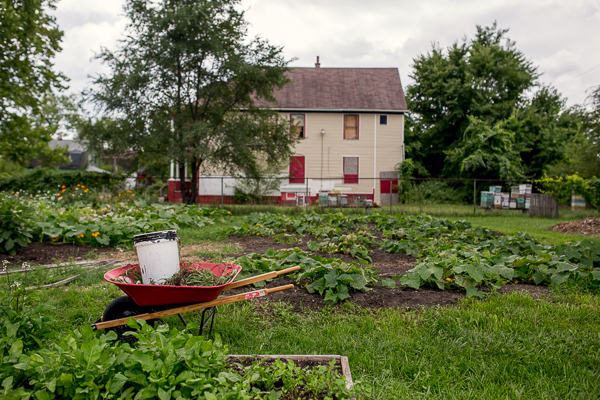 Hebron, who's the executive director of the North End Christian Community Development Corporation and runs the Oakland Avenue Urban Farm, has also been heavily invested in restoring the neighborhood of her youth. 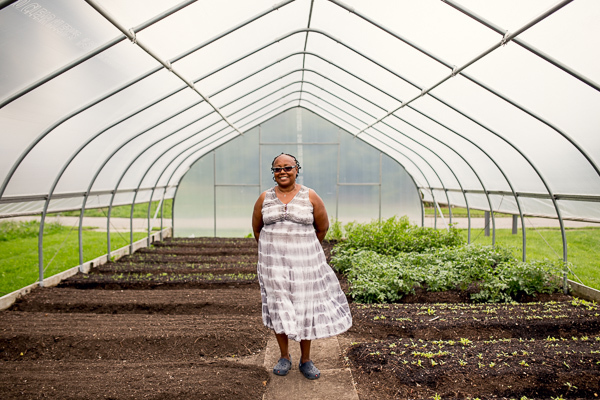 Her farm seeks to cultivate healthy foods and sustainable economics while providing a place "designed for everyone." The farm has formed a partnership with the Greening of Detroit to develop programming and host musical performances, cooking demonstrations, and other community events in addition to their weekly farmers market. Because of her conviction that development should be community driven, Hebron's work is about much more than growing produce. The North End's recovery is still uncertain and requires that everyone partake in the work. "We have neighbors who live within our footprint," she says. "Can we help them with that porch? Can we do some landscaping for them? We want the entire community to be whole." Harris has knocked on doors of known criminals to tell them the community won't tolerate their behavior. "We have a no-nonsense approach to our community," Harris says. Many see the North End as a cusp neighborhood. It surrounds Arden Park, a two-street neighborhood of beautiful historic homes, is in close proximity to fairly active commercial districts in New Center and Hamtramck, and will be the location of the M-1 light rail line's terminal stop. The prospect of outside developers (or speculators) buying property in the North End brings both possibility and risk. Hebron says residents are worried about holding onto their homes—there is a real fear of gentrification and what that means for people who've lived in the neighborhood for decades. "We recognize some people have very strong feeling about white people moving into community with their privilege not respecting those who have been here," she says. "It's our hope we will find a way to live in unity with different cultures or incomes." 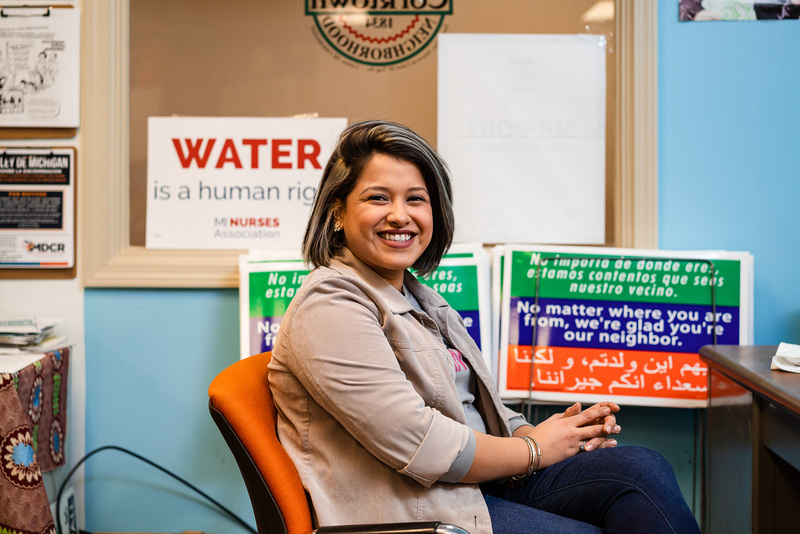 In her role as executive director of the neighborhood CDC, Hebron has reached out to the Boggs Center, an organization that facilitates community building, for guidance. She also works with local artists to beautify the neighborhood and provide creative mediums to explore these challenging subjects. One of those artists is Bryce Detroit, co-founder of both the O.N.E. Mile Project. "With the O.N.E. Mile project what we were really doing is supporting the current cultural and economic production that's already taking place by North End members," Bryce says. Bryce started working in the North End in 2009 and immediately became infatuated with the neighborhood's musical heritage—it was the home of Aretha Franklin, numerous Motown acts, and some classic venues. As a music producer and self-described "cultural designer," Bryce has supported the North End through architectural design, programming with community members, as well as creating, and in some cases, "reactivating" spaces for experimentation. 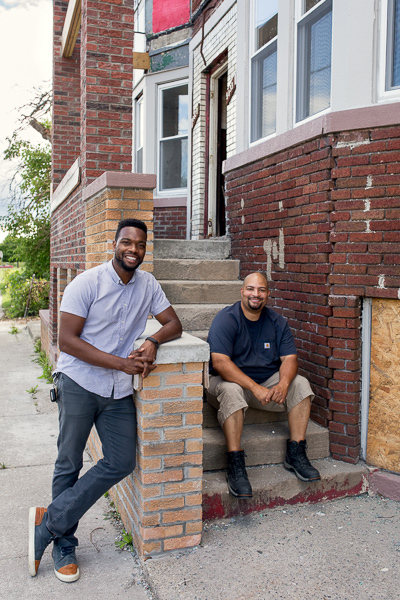 In 2014, Bryce partnered with a community-member to rehab his underutilized and structurally-declining garage. This "reactivation" created the space of what his team calls the O.N.E. Mile Garage, which is used for experimental music programming. "This is about giving those members an opportunity to express cultural identity," Bryce says. Bryce also released the second issue of the "O.N.E. Mile Zine" this summer, which utilizes high-art and design to highlight the work of people in the North End. "We are countering the process of gentrification, which does start with narrative," Bryce says. "What makes us different is that our neighborhood is countering invisibility narratives by broadcasting our own." If a "top-down" approach is what most communities use, Bryce and others put culture and community first, then add in economics. "That's our process," Bryce says. "Starting with the culture versus starting with the marketplace." The bottom-up approach has worked for the North End so far. There's a long way still to go.